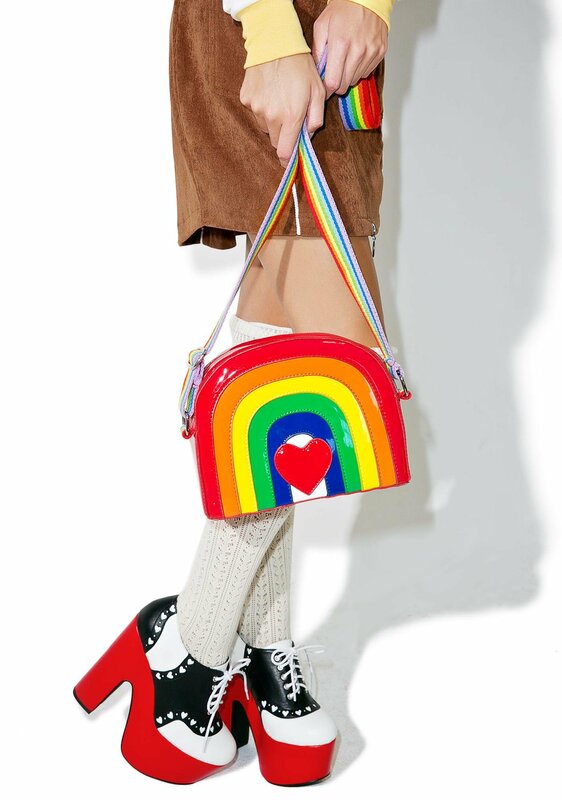 Current Mood Over The Rainbow Bag is for reveling in natural wonders. 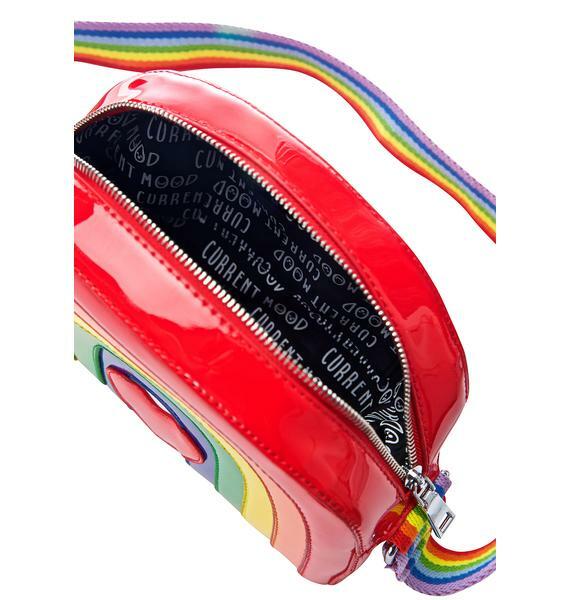 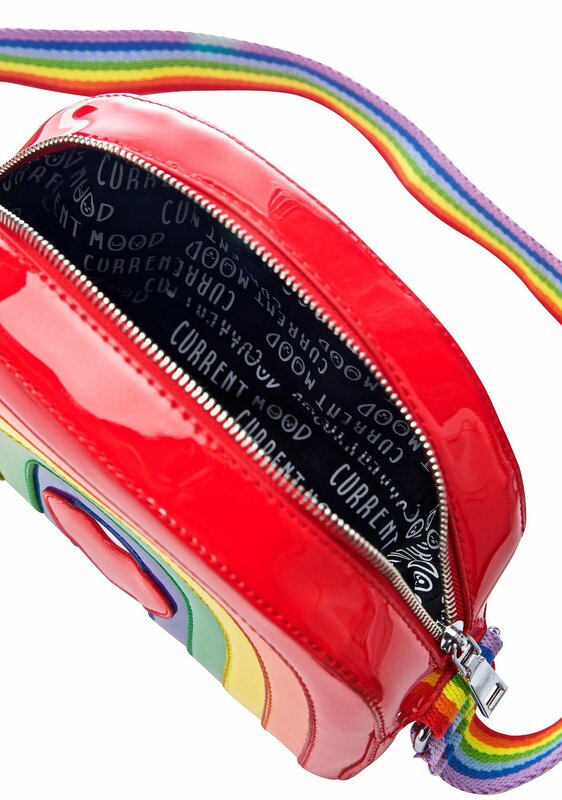 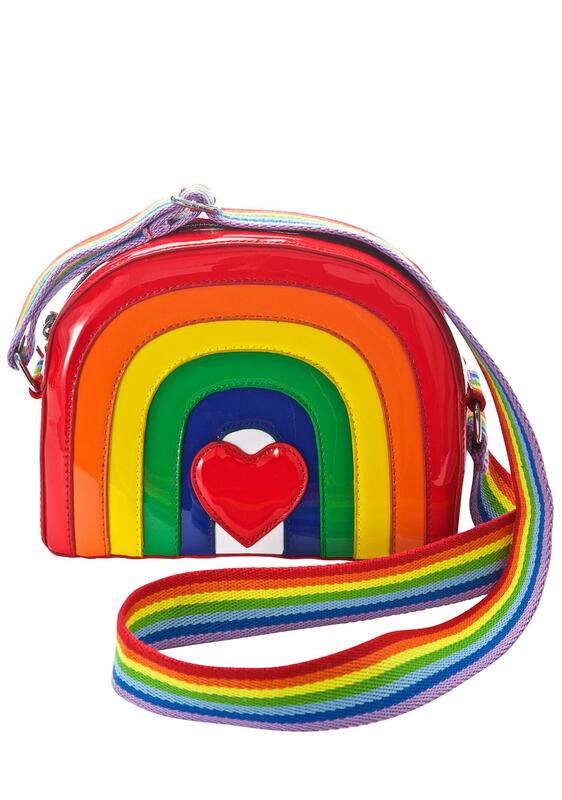 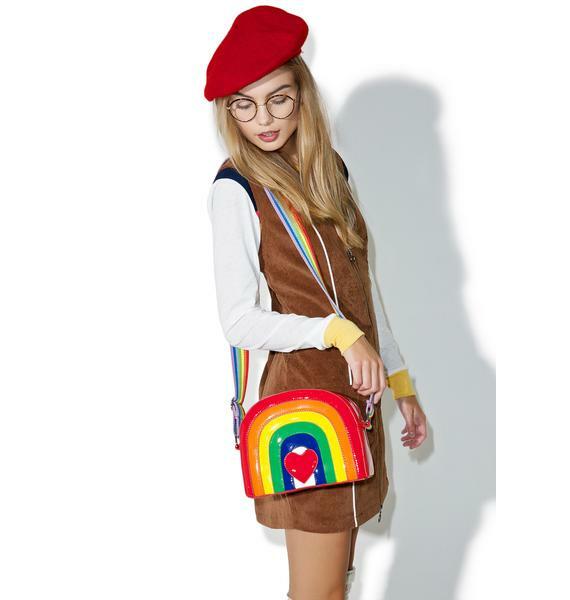 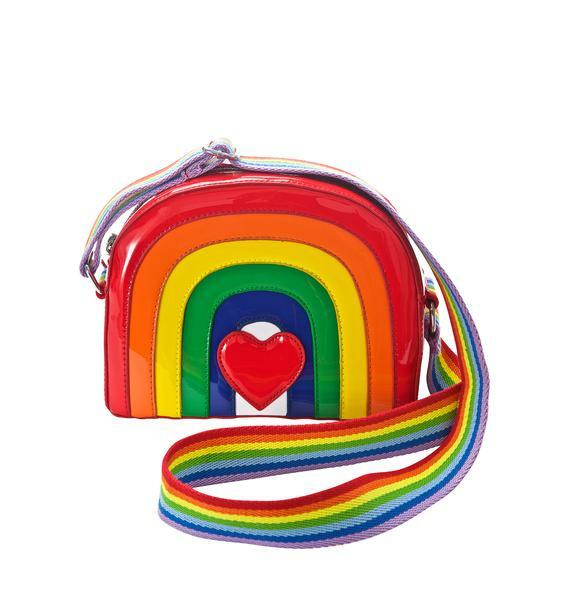 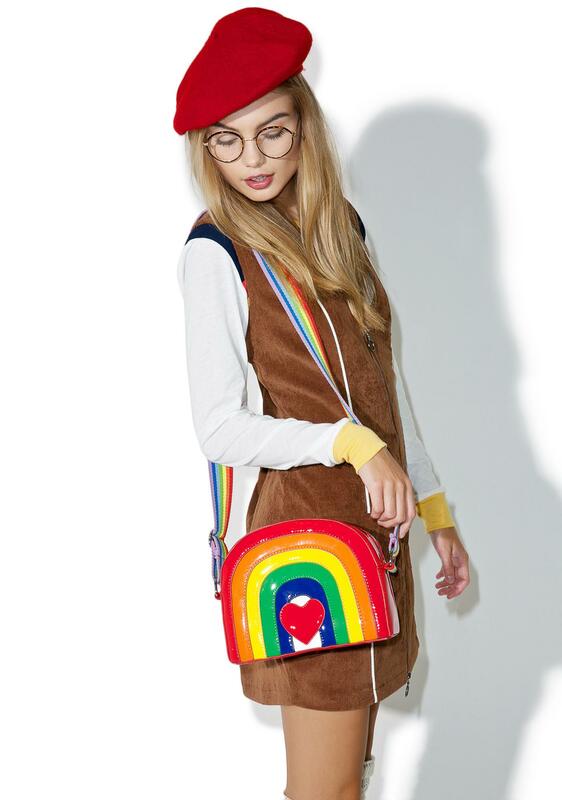 This awesome vintage inspired lil structured bag is beautifully constructed from smooth glossy vegan leather featuring a vibrant rainbow arch with center heart. 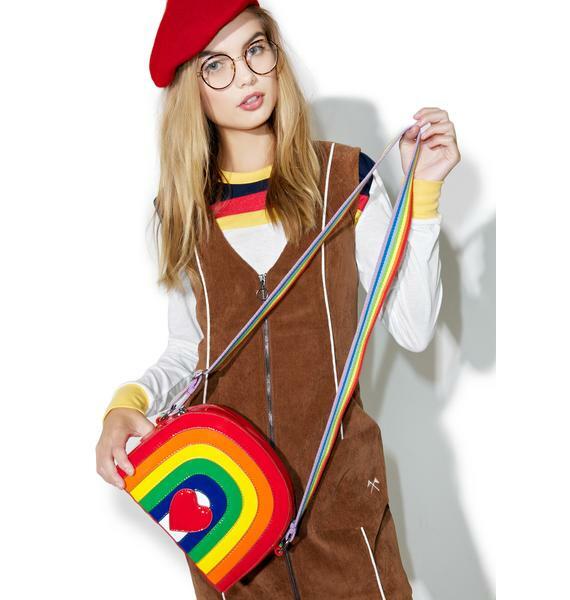 Complete with a roomy interior lined in cute Current Mood logo material, an adjustable woven cross-body strap and top zipper closure this rainbow bag will have ya feelin’ bright after any storm.